Installing the perfect new fencing and gate can do wonders for your home. It can add a new dimension to your property that not only serves a practical purpose but also enhances the street appeal and (fingers crossed) skyrocket that all-important valuation. Those who haven’t had the feeling of gazing out on a brand new fence just don’t understand the pride it creates. It really does make a difference in how you feel about your home, and it’s something you can achieve at very little cost if you do it right. But while installing a new fence can be exciting, it can cause plenty of headaches if you go in blindly. It only takes one overlooked element to send your hard-earned money down the drain, and have you wishing you could just start it all again from scratch. The good news, however, is if you know what to consider up front, you can avoid the pitfalls and create a stellar fence and gate that will be the toast of the town. So to help you on your way, here are the top 7 ways you can get your fencing and gate choice wrong to ensure you don’t slip up before you start up. Every council in Australia has specific laws and regulations around fencing. Although you may like a particular design or fencing height, if it can’t get ticked off by the council, it’s never going to end well. Regulations cover everything from materials, width, and height to visibility. So before you go digging up the garden, it’s a good idea to check the council rules. If in doubt, contact them to discuss your project and what you’ve got in mind. Your budget will thank you for it later. For gates to open, they need adequate driveway or path space. This counts for inwards or outwards openings. You can always choose the best for your situation, but remember to think about it before the gate is installed. Other key considerations include elevation levels of your surface and allowing enough space for vehicles in driveways. If you’re looking at electronic sliding fences, make the right measurements sideways of the opening area to allow space for it to move. Quality should always be your number one concern with fencing materials, but it goes much deeper than just selecting the right wood or steel. Fencing is a package deal. You need to look past the timber and ensure finer details like hinges, screws, and welding work are top-notch so your fence stands up for longer. When looking at suppliers, always go for Australian made if possible. Many will sell you the benefits without talking about where the materials were produced – this can often be a red flag. Local manufacturers will always ensure top quality, and if they supply to the public you can be sure you’re getting the best. It also means you’ll also get the best prices. The reality of landscaping is this: fences and gates look different in the showroom than they do in your yard. Every house and building have a unique style which often leans towards a traditional or modern feel. This, mixed with colour schemes, play a big part in the landscaping that will suit your property the best. Modern homes look great with aluminium slats or decorative garden screen. 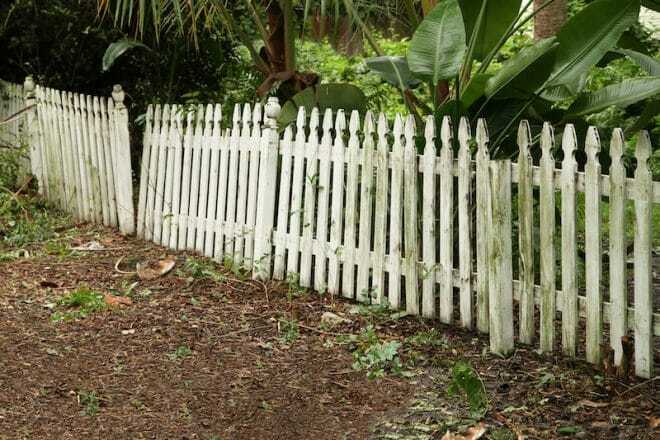 If you’re playing with older architecture, think about picket fences, or a heritage fencing option. Choose wisely – if you’re unsure of what you should select, ask for an expert’s opinion. City builds, regional areas and coastal spots all require slightly different thinking to get longer lasting results. If you live near the ocean, for example, any steel fencing needs to be powder coated or galvanised. This helps prevent rusting due to moisture. Timber finishes can equally wear down fast by the water. In these areas, aluminium fencing is a superior choice. Know your location and check for issues when selecting materials. Every fence or gate has a purpose, even if it’s just to give a tired home a boost of confidence. Security, street appeal, practicality, colour and increasing value are most common. It’s too easy to fall in love with fancy designs when browsing options, but it’s critical you don’t stray from what you really need. When you talk to a fencing expert tell them exactly what you need your fence and gate for. This will ensure you always remain on target and don’t end up with glass where a Colourbond style would have suited better. Colour is a hard choice when it comes to landscapes, but it’s critical for the results. Dull colours quickly fade into the background and bold choices can affect balance. The fix? Always be thinking about your colour scheme. We recommend you coordinate, complement or match the colours of your home or your garden. Neutral colours blend well with architecture, while oranges and reds will create a centrepiece of attention. If in doubt, always ask a fencing specialist for their recommendation to ensure you get the best finish! Avoid all of the above to ensure your project is done right. And if you would like some help to nail your new fencing and gate, come and talk to the experts at Everlast. We have over 20 years of experience in fencing and a huge showroom to inspire your new creation. Visit us today.